Kicking off TEAM WEEK, I present to you the first team drafted with readers: The HAMMERIN' HARPIES! 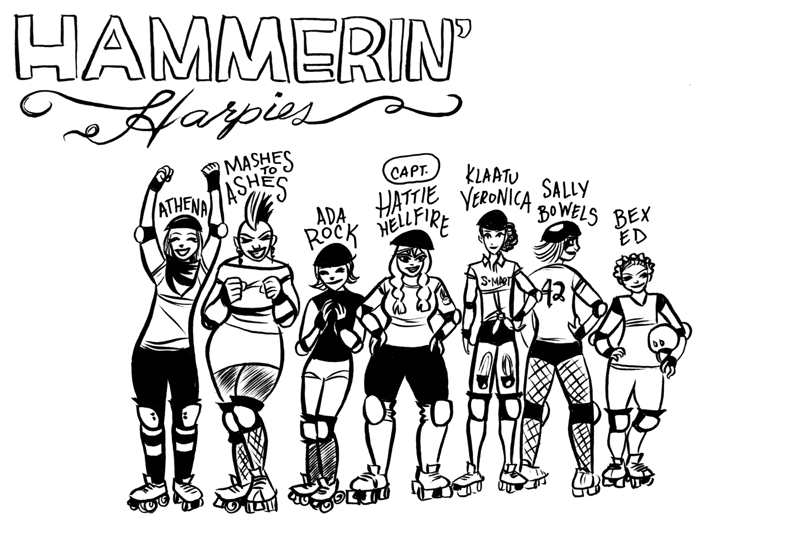 Led by Captain Hattie Hellfire, the Harpies are all spitfire and brimstone. Their motto is "a little bit of sass goes a long way". Eclectic, creative in their plays, and not above distracting people with crazy, unpredictable moves. Go Harpies! To drag out the fun, I'm going to release these teams one at a time. So come back tomorrow for the next team!